AbsoluteXtracts to create a hops and buds combination called Supercritical Ale. The special beer contains no THC, but rather has cannabis terpenes derived from the weed strains Blue Dream and Girl Scout Cookies. Lagunitas isn’t the first company to enhance its beer with terpenes — that honor goes to San Diego World Beer Cup medalist Thorn Street Brewery. But Lagunitas is definitely the biggest. The Sonoma County company, now owned by Heineken International, is the fifth largest craft brewery in the United States. CannaCraft, the parent company to AbsoluteXtracts, is among California’s largest vertically integrated cannabis firms. The companies had separately been plotting a project like this prior to their first meeting months ago when extraction company officials pitched Lagunitas on the idea of teaming up. Lagunitas officials, who were very much up for the challenge, received a spread of terpenes to select from and recently dialed in the final testing of the Girl Scout Cookies and Blue Dream flavor profiles. 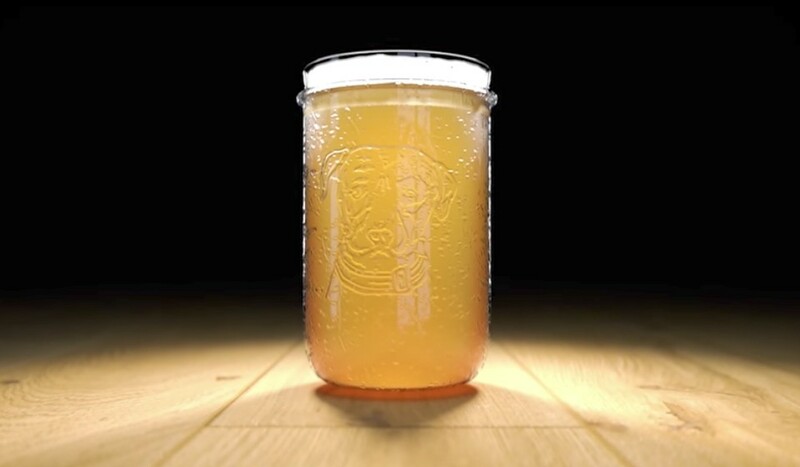 “We’ve always noticed a lot of similarities between our industries, and we wanted to see what we could come up with if we started brainstorming together,” said Lagunitas spokesperson Karen Hamilton. Supercritical Ale is available at about 60 local bars that have Lagunitas on tap. Nine of those bars are in the East Bay and include Diving Dog, Ben ’n’ Nick’s, and Cornerstone. The companies also have created Supercritical vape cartridges. Expect to see those locally in the next two weeks and throughout California by the end of September.